Enabling you to identify and mitigate the intrinsic risk in your operations, supply chains and business processes. Evaluating how your products and services meet and exceed quality, safety, sustainability and performance standards. 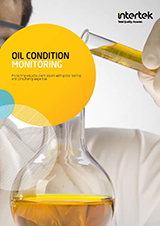 Validating the specifications, value and safety of your raw materials, products and assets. Formally confirming that your products and services meet all trusted external and internal standards. Through our network of over 44,000 people in 1,000 laboratories and offices in 100 countries, Intertek provides quality and safety solutions to a wide range of industries around the world. Intertek is the industry leader with over 44,000 people in 1,000 locations in over 100 countries. Whether your business is local or global, we can ensure your products meet quality, health, environmental, safety, and social accountability standards for virtually any market around the world. Jet fuel quality testing and inspection. 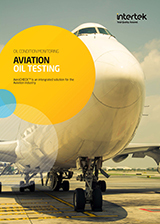 Jet fuel quality and specification testing and inspection are provided by Intertek's global jet fuel testing laboratory network. The jet fuel quality testing labs offer 24/7 service and expertise, testing to ASTM, MIL, DefStan, AFQRJOS, and other jet aviation industry standards.